Are you an owner of an organic store that is looking for a way to reach more customers? 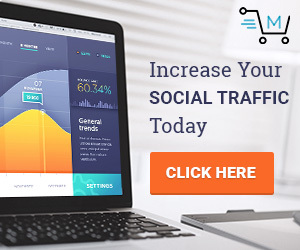 In our day and age, the perfect solution would be getting yourself a website since it has become quite a huge platform for marketing. 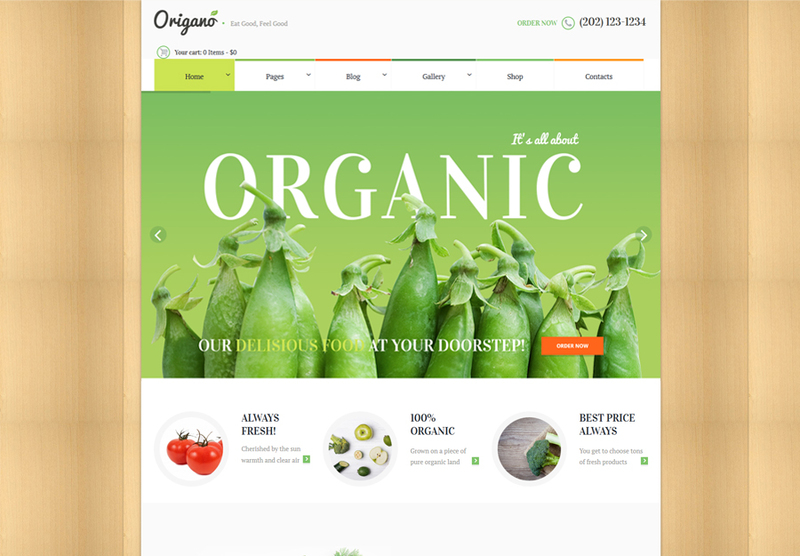 And since more and more people prefer shopping online to going to local stores, it makes perfect sense to build a site for your organic goods store. 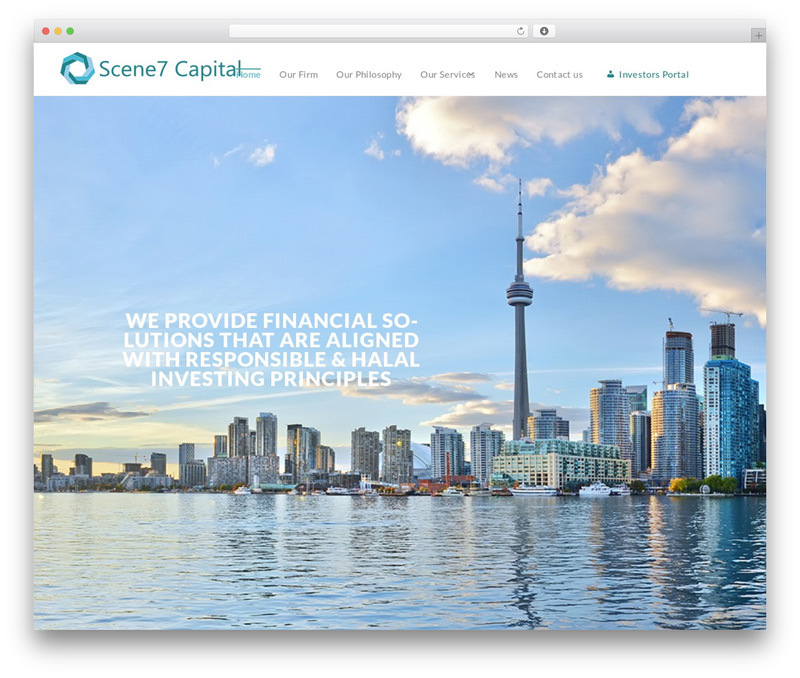 The quickest and also most cost-efficient way to kickstart your site would be purchasing a premium template. By getting one you’re basically receiving a full-blown website that’s ready to go on your hosting pretty much immediately. It is much faster than building a theme from complete scratch and cheaper than hiring a developer to do it for you. And you don’t even need to know any code to work with it later! Most of them are supplied with handy plugins and visual page builders to aid you in the customization process. 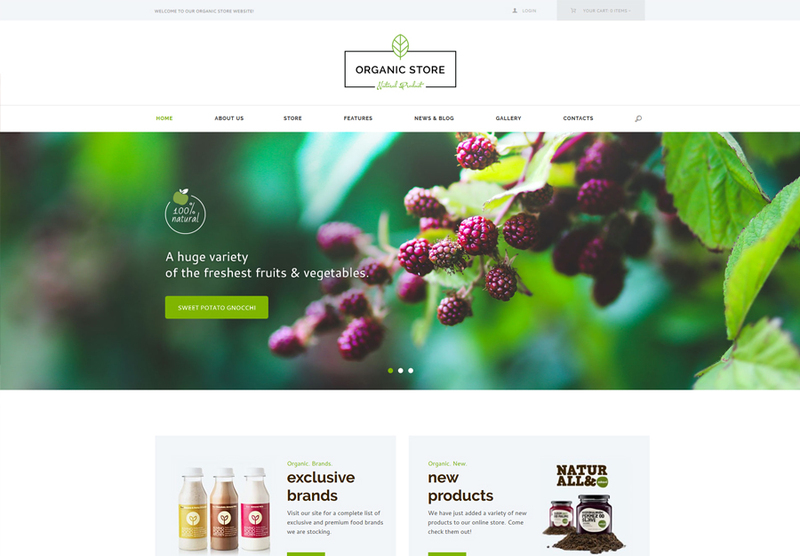 Below you will find a list of 15 of the freshest WordPress themes designed specifically for organic store websites, provided by ThemeRex. Scroll down and check them out for yourself! 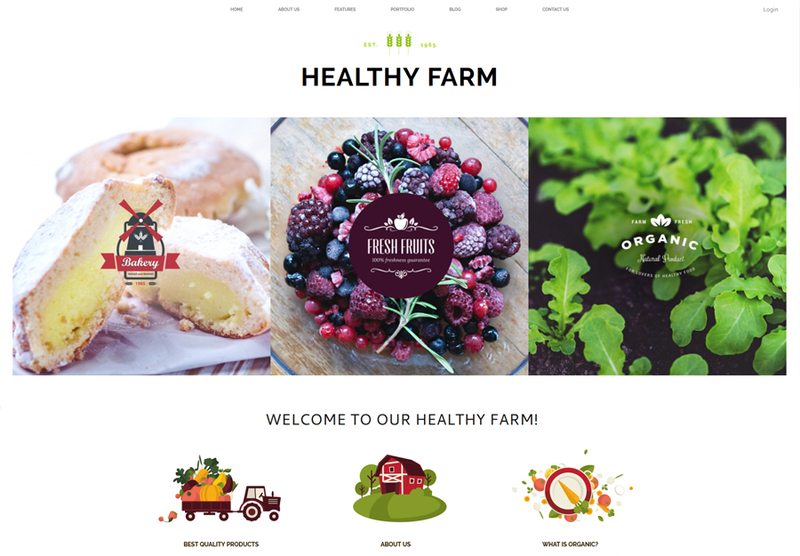 Healthy Farm provides you with everything you need to create a successful agricultural website, including various layout styles, an advanced post rating system, social media sharing options, beautiful portfolio & galleries and even WooCommerce integration. WPBakery compatibility means simplistic customization in a visual drag & drop interface. The template even features its own shortcode builder and a media content manager. 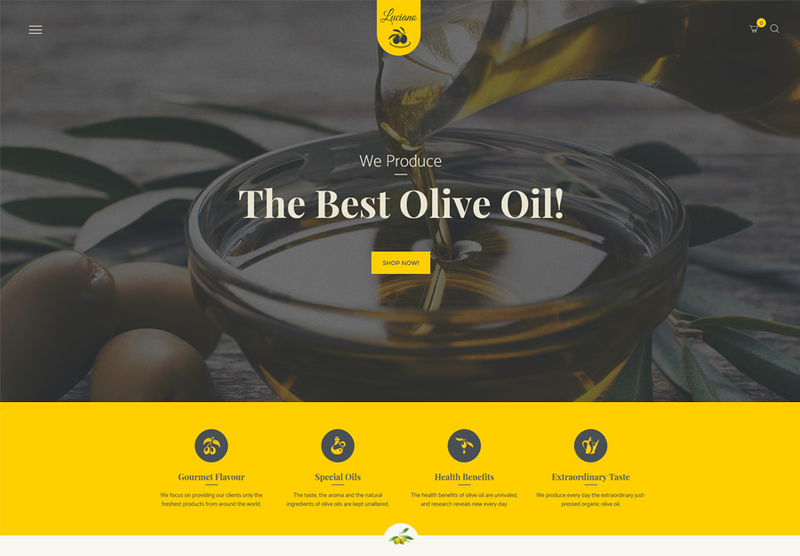 Olive Oil & Vinegars supports an intuitive visual interface with an informative layout that looks beautiful on any platform. Full WooCommerce compatibility goes without saying and Revolution Slider, Essential Grid and PO Composer along with the WPBakery Page Builder give you plenty of customization opportunities. With the help of the WPML plugin, you will be able to create a truly multinational store. 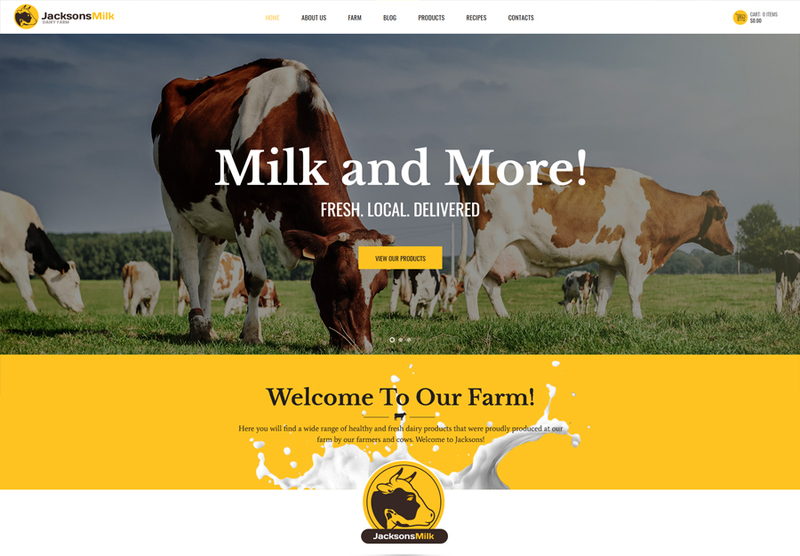 With tons of customizable features, Dairy Farm & Eco Products is an ideal option for a dairy farm, cattle farm or an agricultural business website. It comes with three homepage layouts, both boxed and wide layout versions, a variety of header styles and countless stunning hover effects. It is also supplied with WPBakery, Revolution Slider, Swiper Slider, WPML, Essential Grid, WooCommerce and much, much more. 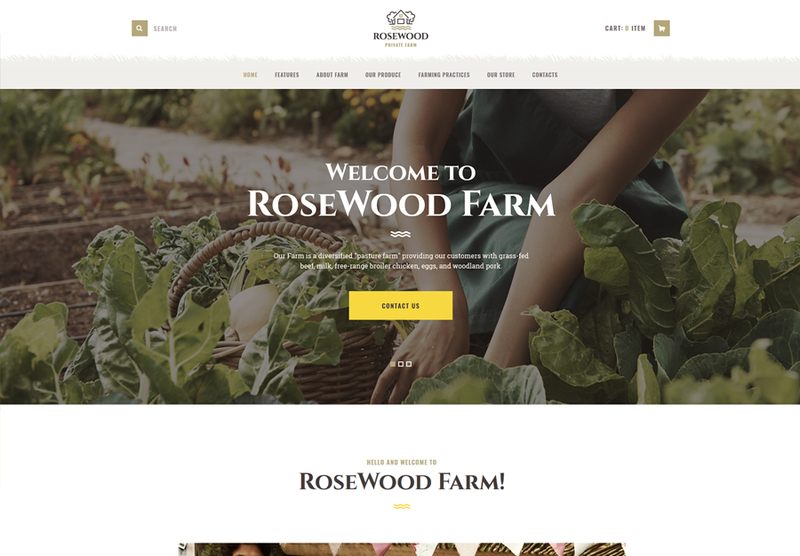 Rosewood’s beautiful layout that integrates the Essential Grid plugin allows you to showcase your business and the goods you produce in an absolutely alluring manner. Its powerful admin interface lets you manage all of your content with hundreds of options grouped in a neat interface. Contact Form 7 lets you create custom contact forms for your visitors to be able to reach you easier and Instagram Feed is perfect for advertising your business on that platform. 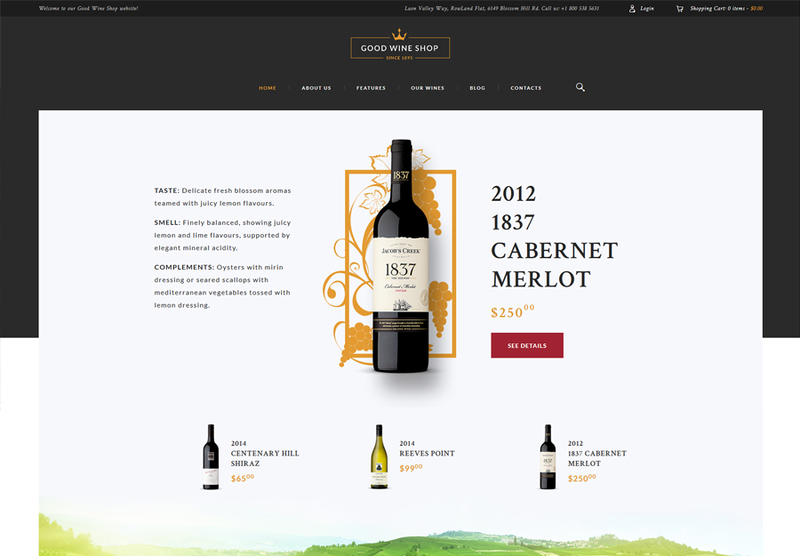 Good Wine’s layout is clean, attractive and ideal for displaying all the information necessary to inform your users about your company and products. Revolution Slider set as the homepage slider lets you show off your beautiful vineyard, cellar and your stock in a way that will capture the attention of your potential clients. Parallax effect backgrounds further add to the site’s user experience, creating a feeling of depth with imagery moving at different speeds. 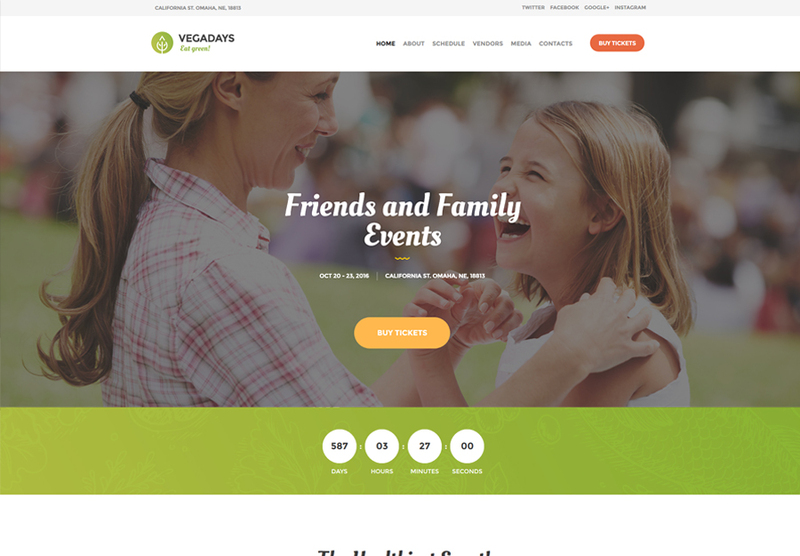 Vegadays features convenient events schedule & managing plugins so you can inform your visitors about the types of events you’re holding. It is a fully responsive and Retina ready theme, so it will definitely look amazing on any platform. It is also fully optimized for mobile performance and utilizes the Revolution and Swiper sliders, Essential Grid, Booking Calendar, PO Composer and WPBalery. Beelove is compatible with the unique Gutenberg page builder that gives you access to a convenient visual interface, from which you can edit all of your page’s elements. 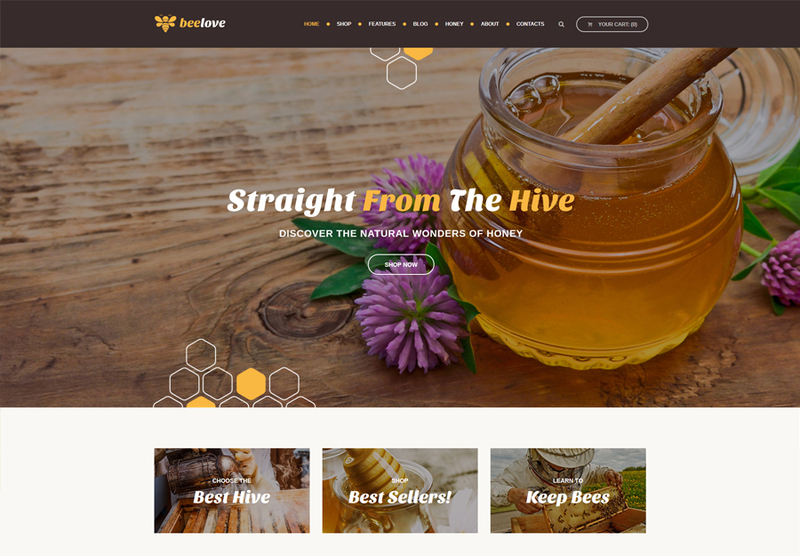 Take advantage of the multitude of outstanding gallery and blog layouts to present your beekeeping business and share your knowledge with your visitors. Sets of custom widgets and shortcodes enhance the theme’s functionality considerably and ease the already seamless workflow even further. Take advantage of three beautiful pre-made layouts, built-in contact forms, WooCommerce and WPBakery to create a truly unique website. Umberto’s clean design features an earthy color scheme that is perfect for showcasing your mushroom farm. 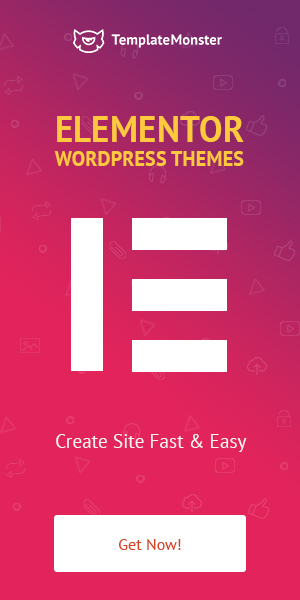 It sports a variety of pre-designed pages as well as the WPBakery page builder supplied with an extensive set of shortcodes that allows you to create unique layouts of your own! It is also compatible with such premium plugins as Revolution Slider, Essential Grid and PO Composer. 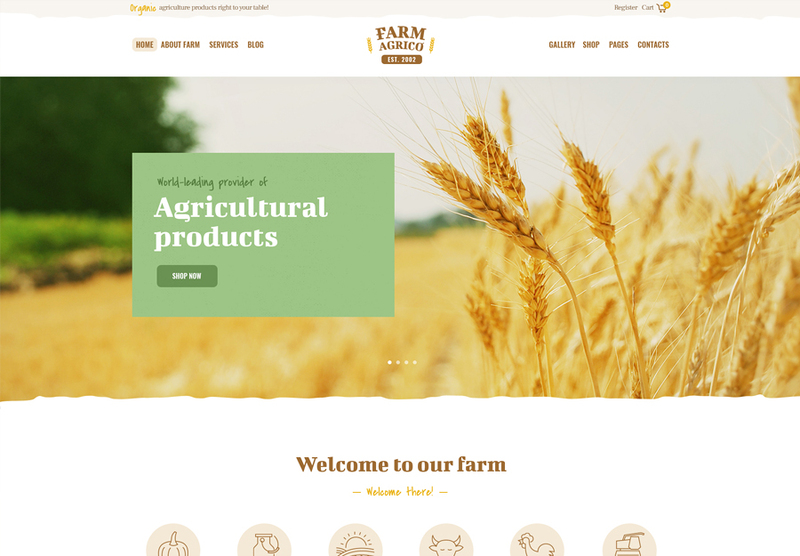 Farm Agrico’s clean layout combined with beautiful imagery creates a beautiful presentation of your agricultural business. Choose between boxed and fullwidth layout versions, a selection of pre-designed pages and multitudes of post animations and blog styles. 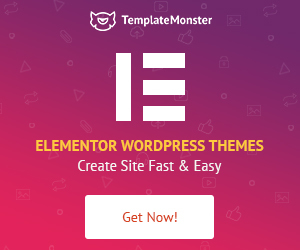 The theme is compatible with a wide variety of plugins, including Gutenberg, Revolution Slider, WPBakery, Essential Grid, Comment Guestbook, MailChimp for WP, Contact Form 7 and even ThemeREX Addons. 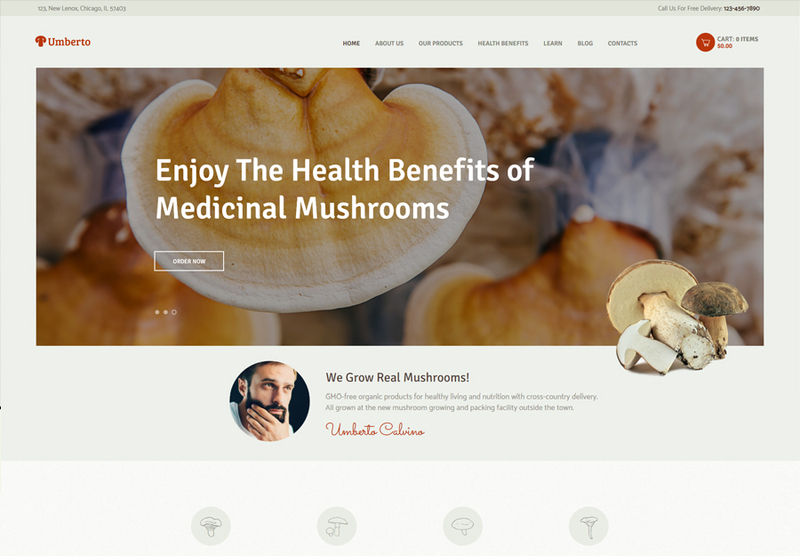 Origano’s clean minimal design merges perfectly with your content, creating a truly organic and natural feel for your website. Its SEO optimization is on point, ensuring that your store is easy to find using any search engine and the fully responsive layout looks equally amazing on all device types. The theme is fully integrated with WooCommerce and supplied with a respective shop design to minimize the time required to start up your store. 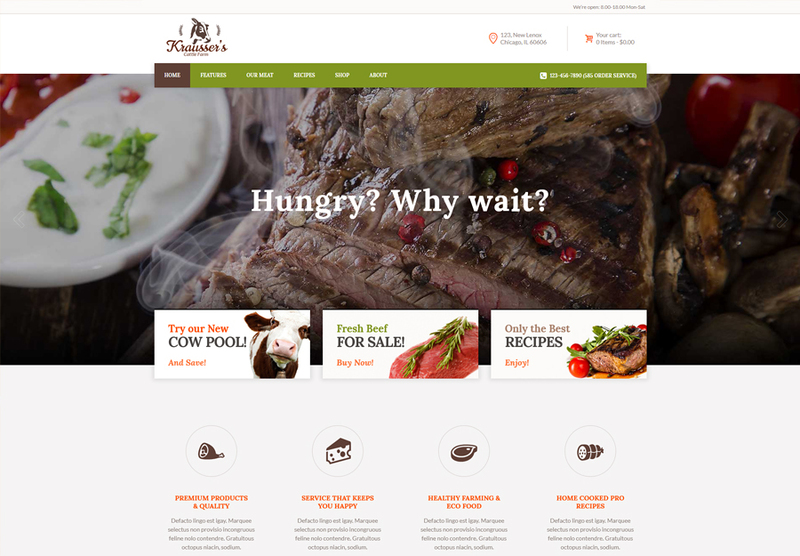 Krausser’s fully responsive and Retina ready design was crafted for cattle farm and market websites. Revolution & Swiper Slider, Essential Grid, WPBakery, PO Composer and, of course, WooCommere are all part of the package. The entire Google web fonts library is included in the theme along with the Fontella Icon set and Images Icons to help you liven up your typography. 5 pre-designed homepage layouts, full WooComerce compatibility, beautiful gallery & blog post designs along with dozens of helpful shortcodes are just a few of this theme’s features. Its layout is intuitive and the interface guides your visitor’s eyes through your content and products. It also gives you the ability to turn your site into a conversion optimized landing page for your store. 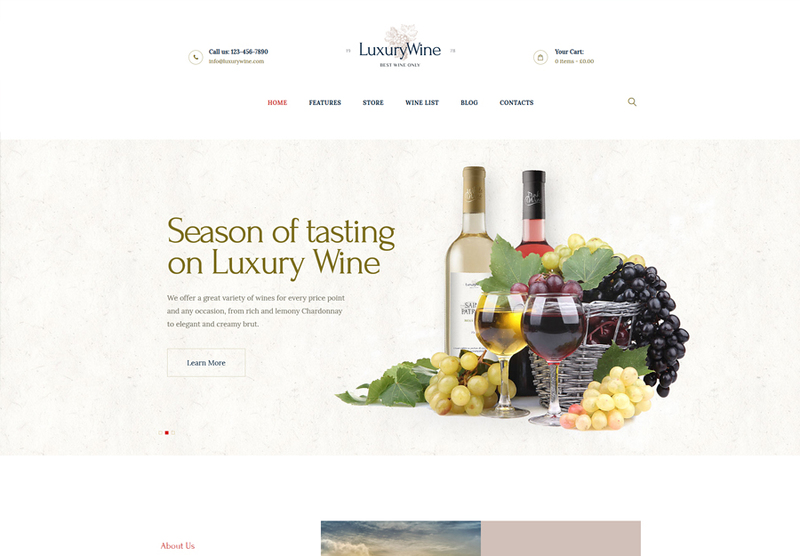 Luxury Wine supports both Sticky Menus and Mega Menu, enabling you to create all sorts of navigation configurations for your page. The parallax effect in the background helps to create a more engaging design and Revolution Slider helps showcase your goods in the most stunning way possible. Take advantage of Essential Grid’s galleries to create beautiful presentations for your wine collections and let your customers exactly where to find you with customizable Google Maps. 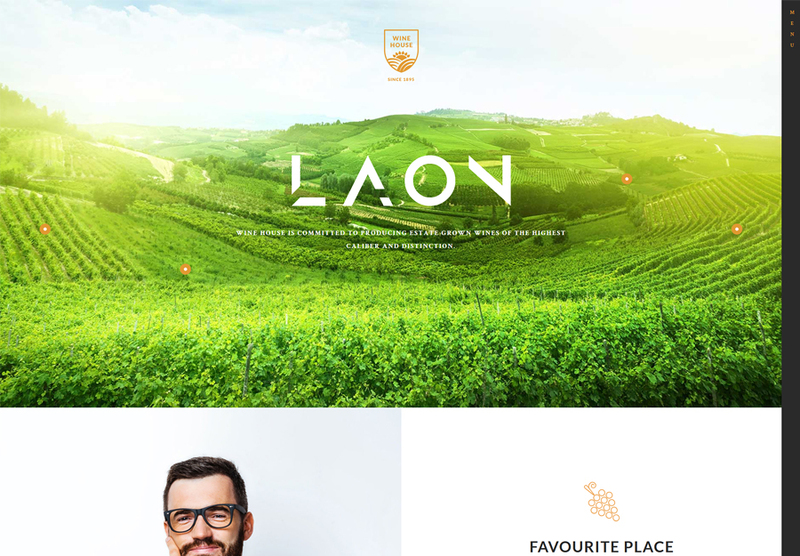 Laon comes with two unique layout modes: catalog and shop. Its Event Calendar along with Revolution Slider enable you to tell your customers about all of your upcoming events in an attractive and engaging manner. The inclusion of WPBakery, a drag & drop page builder with an intuitive visual interface makes customization an absolute breeze. 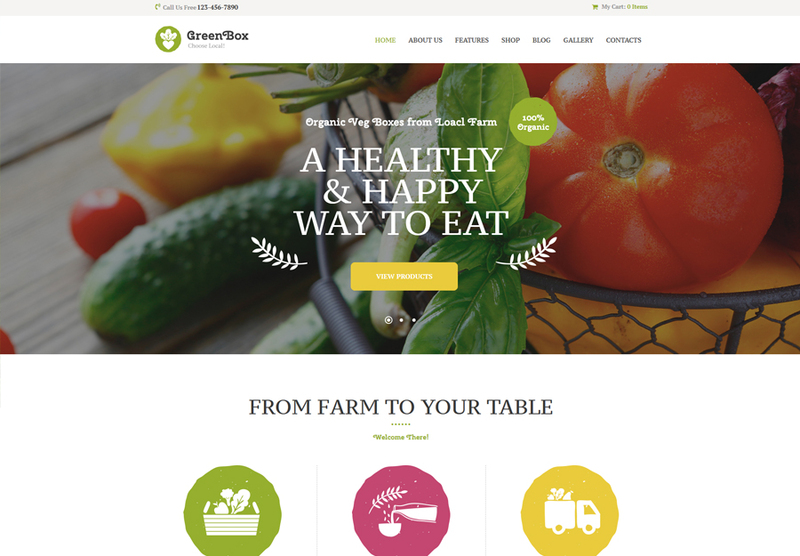 Green Box is a perfect example of a great theme perfectly equipped for its niche. Full WooCommerce compatibility makes setting up a shop and actually selling goods from your page dead simple and WPBakery compatibility gives you access to simple yet extremely deep customization options. Professional design with tons of amazing pre-designed pages for products, services, about and team sections, beautiful gallery & blog post layouts, loads of shortcodes and a plentitude of popular integrated plugins make this template really stand out from the bunch. So, did anything on our list catch your attention? Did you manage to pick a theme out for using on your own project? Be sure to tell us in the comment section!